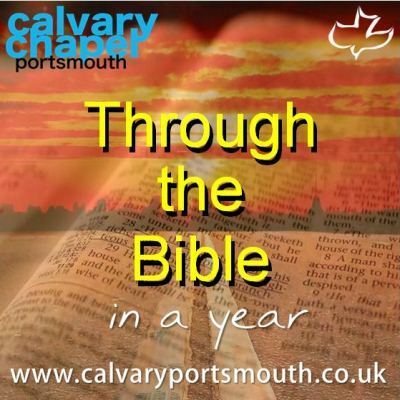 This study, taught by Pastor Barry Forder, is the 41st session of our ‘Through-the-Bible-in-a-Year’ series recorded during 2014 as part of our Sunday morning family services. In this study we review Paul’s letters to the Philippians and Colossians. The letter Paul writes to this church is one of love, support, and the desire that they press on toward the prize (3:13-15). Amazingly, Paul writes this letter of encouragement from a prison cell, not seeing his own predicament as requiring sympathy, but knowing it is a chance to further the gospel (1:12). Our attitude to the situations and problems we face in this life will all hinge on our relationship to Christ. With this in mind, Paul starts by emphasizing that, as believers, Christ is our life: “For to me to live is Christ, and to die is gain” (1:21). Nothing should be more important to us than Him. Christ should also permeate our thinking: “Let this mind be in you, which was also in Christ Jesus”(2:5). Christ should also be our motivation, the reason to keep going: ”For our conversation is in heaven; from whence also we look for the Saviour, the Lord Jesus Christ” (3:20). Finally, Christ is our strength: “I can do all things through Christ which strengthens me” (4:13). Paul closes this short letter with one of the most powerful promises in the New Testament: “But my God shall supply all your need according to his riches in glory by Christ Jesus” (4:19). The year was about A.D. 62. Four messengers left Rome unobserved, but each carried a very valuable document. Tychicus was carrying the Epistle to the Ephesians, where he was the pastor or the leader of that church. Epaphroditus was carrying the Epistle to the Philippians as he was the pastor in Philippi. Epaphras was carrying the Epistle to the Colossians; apparently he was the leader of the church in Colosse. Onesimus was carrying the Epistle to Philemon. These four letters comprise a set, and together have been called the anatomy of the church. The subjects cover all aspects of the Christian faith: Ephesians is about the body (the church), whereas Colossians directs our attention to the head of the body – Christ. Colossians emphasizes that Christ is the fullness of God. He is the Creator of all things (thus He must Himself be outside of creation, and therefore eternal). “And he is before all things, and by him all things consist. And he is the head of the body, the church: who is the beginning, the firstborn from the dead; that in all things he might have the preeminence.” (1:17-18). It’s all about Christ and what He has accomplished.